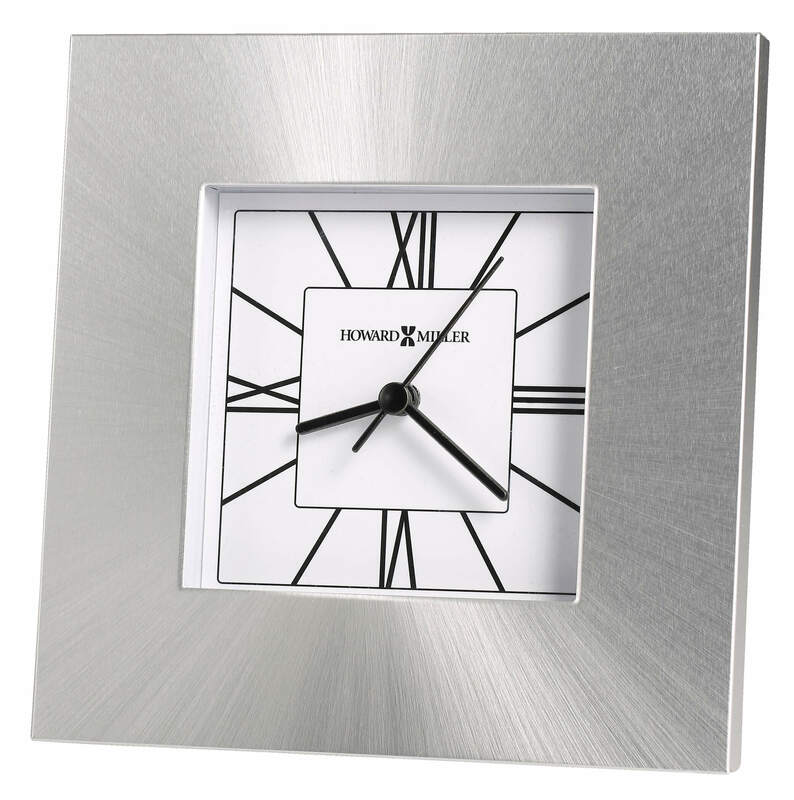 This square aluminum tabletop clock features a brushed sunburst, silver finish. White dial with contemporary black Roman numerals and hour markers; black hour, minute and second hands; and a glass crystal. 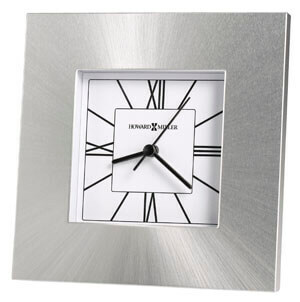 You will save $9.15 (30 %) on this Howard Miller Kendal 645-749.